A man sails the Indian Ocean alone on his 37-foot yacht, 1700 nautical miles from the Sumatra Straits. He is awoken one morning by a crash: a metal container off a cargo ship has struck his boat, perforating and flooding it, disabling all communication. The man fights resourcefully to repair the damage and battle the elements: blistering sun, a violent storm. After eight debilitating days, with only a half-day’s worth of rations left and virtually no hope for rescue, it seems that all is lost. J.C. Chandor’s All Is Lost strips the conventional action movie to its essentials. And a man with only the sailing skills and self-determination to make a go of survival. His boat is called the Virginia Jean, but he is the man with no name, no knowable past, no loved ones nor enemies back home to give his quest familiar emotional moorings. In a way, Chandor set himself and his audience the same restrictions as his protagonist. They would discover who the man is by what he can do. And by who plays him: Robert Redford. Yet it is also an arguably unique exercise in storytelling: both a work of cinematic innovation and a thrilling demonstration of the ancient maxim that action is character. Other films about a man alone on the water look positively profligate by comparison. Spencer Tracy played a Cuban fisherman in the 1958 The Old Man and the Sea, but he was on land with others at the beginning and the end. In 1963, Japanese director Kon Ichikawa retold the true story of a man who sailed from Osaka to San Francisco in Alone on the Pacific; there, flashbacks provided clues to his reasons for attempting this feat. Most recently, Ang Lee’s Life of Pi famously put a teenage boy on a raft in the Pacific, after 40 minutes of exposition about his family and the tiger who would accompany him. 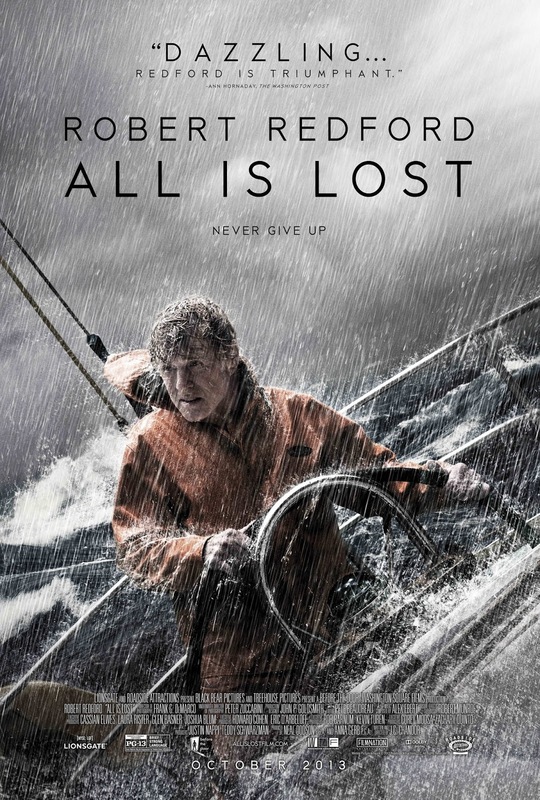 All Is Lost dispenses with land, friends, flashbacks and tigers. Our Man doesn’t talk to himself, let alone to a volleyball. He has his own company; that must be enough. And because he is played by Redford, it is more than enough. shows the newly discovered volcano in Behm Canal near Misty Fiords National Monument. About 10,000 years ago, give or take a couple thousand years, a volcano blew its top in the middle of Behm Canal. The crater is still there, covered by 150 feet or so of ocean. But when the volcano exploded many thousands of years ago, it was not underwater. That’s what makes it so interesting. Well, that and the fact that nobody currently living knew it was even there until just a few weeks ago. U.S. Forest Service Geologist Jim Baichtal, who is based on Prince of Wales Island, and Anchorage geologist Sue Karl were looking at some hydrographic surveys, something geologists tend to do. Baichtal and Karl were in Ketchikan recently. They came by KRBD, along with UAS Juneau geology professor Cathy Connor, to talk about the underwater volcano. Baichtal said that after spotting the cone-shaped mass, he used a special computer program to look more closely at the surveys, and they could see the vent still was intact. They also could tell that it erupted in the air, even though it’s now under quite a bit of water. But, how could they tell that, just by looking at it? Karl said a modern example of a similar eruption is Surtsey, a volcanic island in Iceland, which erupted from the sea floor in the 1960s, building itself up and eventually breaching the surface to form the island. Sprinkles of snow dot precipitous cliffs. Rudyerd Bay area, Southeast Alaska, September 2010. “When you get a thousand feet of ice sitting on the ground, it is very heavy,” she explains. Like a trampoline, or waterbed, but at a much slower pace. “So at one time, in Misty Fiords, there was close to 4,000 foot of ice on that site, so the weight of that ice at least pushed down (created) as high as 400 feet of displacement,” Baichtal added. So, in summary, the volcano erupted within the last 13,000 years, after the ice retreated, as the land was slowly bouncing back, and when sea levels were lower. They figured out most of this stuff just from examining the surveys. But Baichtal wanted to see it in person, or as close to in person as possible. Luckily, he knows some people who can make that happen: Gary Freitag, with the University of Alaska Fairbanks Marine Advisory Program, and Barbara Morgan with Oceans Alaska. They have an ROV, or remote operated vehicle. It’s a small device that can dive to the bottom of the ocean, get clear video or photographs, and collect samples. Using location data from the survey charts, the skipper was able to “park” the catamaran right on top of the crater, and they quickly sent the ROV into the water. “From that, we could see the angle of the slopes,” he said. They also grabbed two rock samples, which will be chemically analyzed to determine a more exact age for the eruption. Baichtal notes that southern Southeast Alaska isn’t well known for its volcanoes, but there are quite a few in this region. “We know that we have a lot of volcanoes out in the Aleutians, but if you talk about volcanoes in Southeast, everybody imagines Edgecumbe … when in fact, south of Craig and south of Ketchikan here, we actually have a much larger number of vents and a bigger volcanic complex. It’s just less known,” he said. New Eddystone Rock with shoals exposed August 2010. That’s because some are underwater, and those that aren’t are covered by trees. Karl said as people explore more of the area’s wilderness, they’re discovering more vents. Volcanoes show up along faults in the earth’s crust, so when the fault moves enough to expose magma, that can lead to a volcanic eruption. Since faults don’t go away, volcanic eruptions in Southeast Alaska are possible in the future. “With the evidence that we have and the geologic age of the things that are there, there is no reason why it couldn’t,” he said. But, Karl said people shouldn’t get anxious about it. The newly discovered volcano is very close to New Eddystone Rock, which is what’s left over from another volcano, which may have erupted around the same time frame. They are both near the entrance to Misty Fiords National Monument. 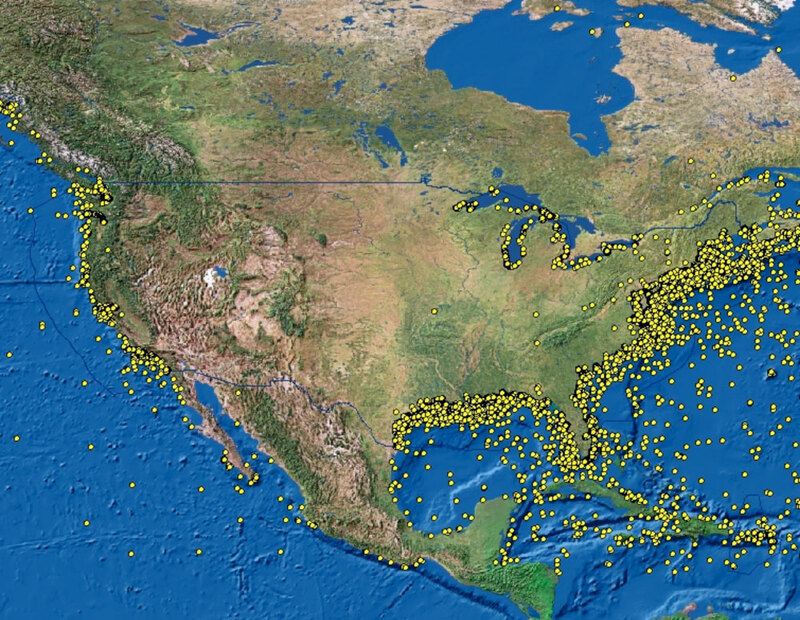 The Office of Coast Survey's Automated Wreck and Obstruction Information System (AWOIS) contains information on over 10,000 submerged wrecks and obstructions in the coastal waters of the United States. Information includes latitude and longitude of each feature along with brief historic and descriptive details. NOAA presented to the U.S. Coast Guard today a new report that finds that 36 sunken vessels scattered across the U.S. seafloor could pose an oil pollution threat to the nation’s coastal marine resources. Of those, 17 were recommended for further assessment and potential removal of both fuel oil and oil cargo. 14 May, 1942, U. S. Army Air Corps photographs of the burning tanker Potrero del Llano location. The sunken vessels are a legacy of more than a century of U.S. commerce and warfare. They include a barge lost in rough seas in 1936; two motor-powered ships that sank in separate collisions in 1947 and 1952; and a tanker that exploded and sank in 1984. The remaining sites are 13 merchant marine ships lost during World War II, primarily along the Atlantic Seaboard and Gulf of Mexico. To see a list of the ships and their locations, visit: http://sanctuaries.noaa.gov/protect/ppw/. 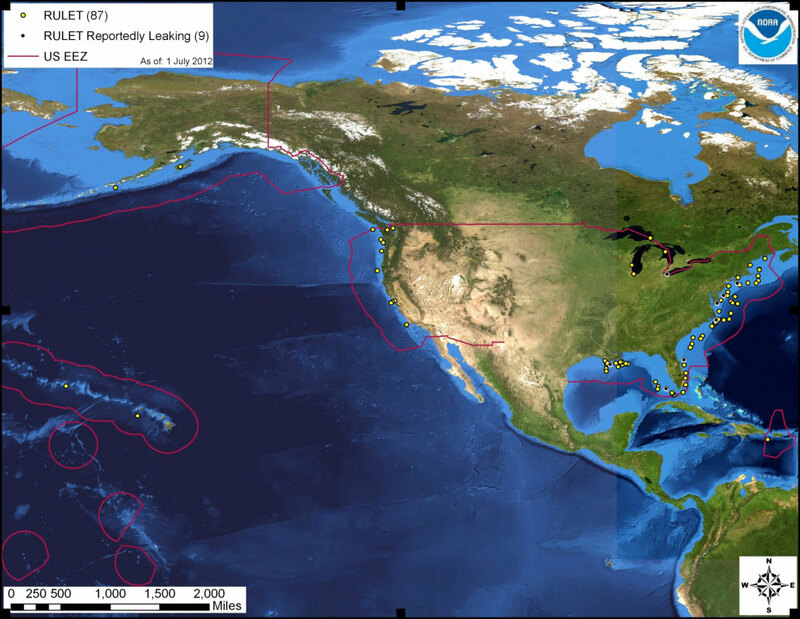 The report, part of NOAA’s Remediation of Underwater Legacy Environmental Threats (RULET) project, identifies the location and nature of potential sources of oil pollution from sunken vessels. Knowing where these vessels are helps oil response planning efforts and may help in the investigation of reported mystery spills--sightings of oil where a source is not immediately known or suspected. The locations of the 17 wrecks NOAA is recommending be considered for in water assessment and pollution recovery if necessary. “This report is the most comprehensive assessment to date of the potential oil pollution threats from shipwrecks in U.S. waters,” said Lisa Symons, resource protection coordinator for NOAA’s Office of National Marine Sanctuaries. Disabled T/B DBL 152 vessel discharges oil into the Gulf of Mexico in 2005. “The Coast Guard is pleased to receive these risk assessments from our partner agency NOAA and looks forward to our continued coordination on the matter of potential pollution associated with sunken vessels in U.S. waters,” said Capt. John Caplis, the Coast Guard’s chief of marine environmental response. In 2010, Congress appropriated $1 million for NOAA to develop a list of the most significant potentially polluting wrecks in U.S. waters, including the Great Lakes, specifically addressing ecological and socio-economic resources at risk. Those funds were not intended for oil or vessel removal. 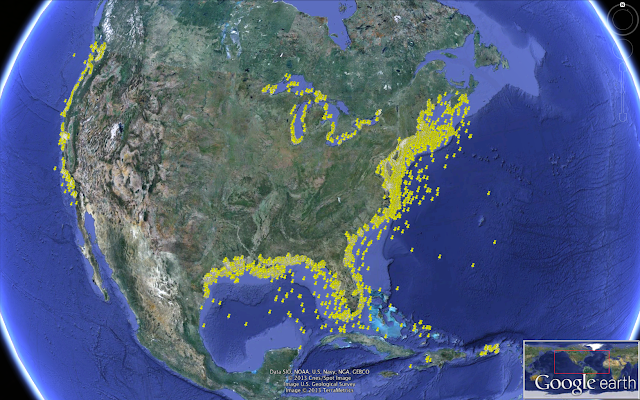 NOAA maintains the internal Resources and UnderSea Threats (RUST) database of approximately 30,000 sites of sunken material, of which 20,000 are shipwrecks. The remaining items are munitions dumpsites, navigational obstructions, underwater archaeological sites, and other underwater resources. Initial screening of these shipwrecks revealed 573 that could pose substantial pollution risks, based on the vessel’s age, type, and size. This includes vessels built after 1891, when U.S. vessels began using fuel oil; vessels built of steel; vessels over 1,000 gross tons, and any tank vessel. Over 20,000 shipwrecks exist in U.S. waters. Additional research about the circumstances of each vessel’s loss narrowed that number to 107 shipwrecks. Of those, some were deemed navigational hazards and demolished, and others were salvaged. Most of the 107 wrecks have not been directly surveyed for pollution potential, and in some cases little is known about their current condition. 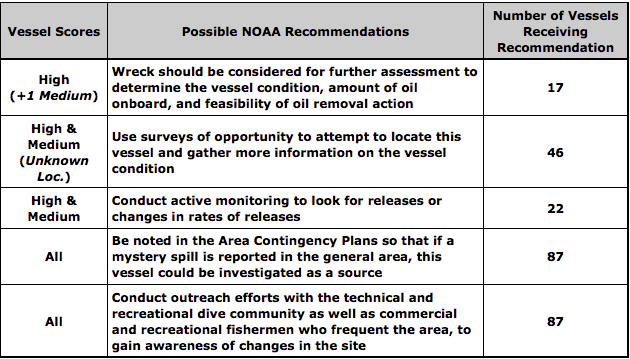 To prioritize and determine which vessels are candidates for further evaluation, NOAA used a series of risk factors to assess the likelihood of substantial amounts of oil remaining onboard, and the potential ecological and environmental effects if that oil spills. Risk factors include the total oil volume onboard as cargo or fuel, the type of oil, and the nature of the sinking event. For example, a vessel that was struck by multiple torpedoes would likely contain less oil than a vessel that sank in bad weather. 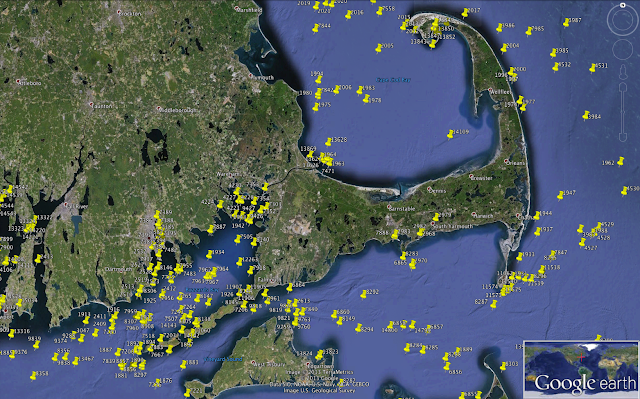 The locations of the 87 wrecks addressed in the national risk assessment. After this third level of screening, 87 wrecks remained on the list developed for the Coast Guard’s area contingency plans. Among this group, NOAA determined that 36 shipwrecks are candidates for a “Worst Case” discharge event in which the shipwreck’s entire fuel oil and oil cargo would be released simultaneously, and recommended that 17 of these wrecks be considered for further assessment and feasibility of oil removal. Worst Case Discharge (WCD) and Most Probable Discharge (MP). Six wrecks are potential candidates for a “Most Probable” discharge event, where a shipwreck could lose approximately 10 percent of its fuel oil or oil cargo. 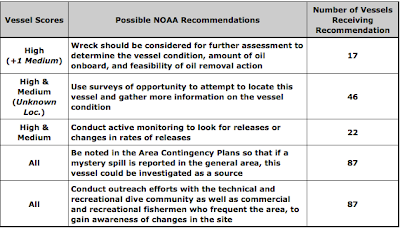 To date, known oil discharges from shipwrecks are typically in the “Most Probable” category or smaller. The report, including 87 risk assessments, is not intended to direct Coast Guard activities, but rather provide the Coast Guard with NOAA’s scientific and technical assessment and guidance as a natural resource and cultural heritage trustee. The Coast Guard, as the federal On-scene Coordinator for mitigating oil spills in the coastal marine environment, the Regional Response Teams, and local Area Committees, as established under the Oil Pollution Act of 1990, will review and incorporate the assessments into regional and area marine environmental response contingency plans. 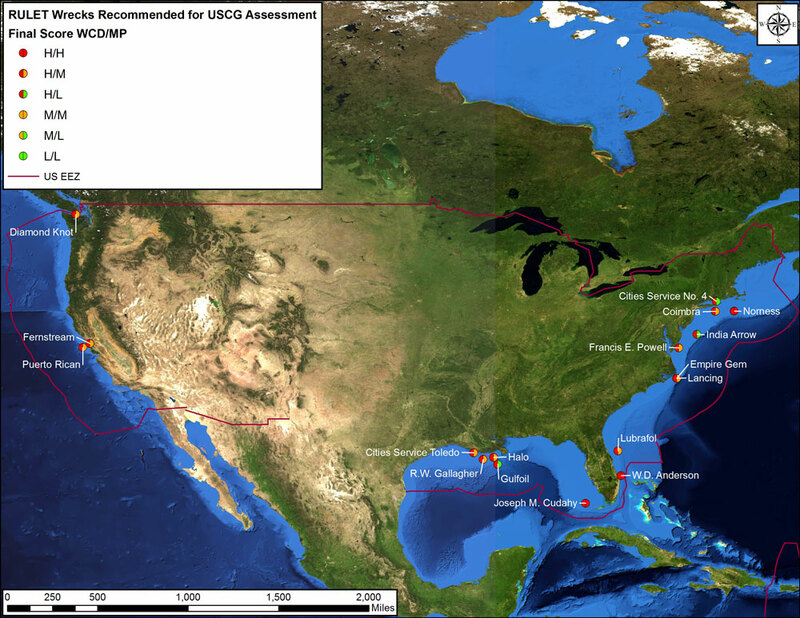 The individual risk assessments not only highlight concerns about potential ecological and socio-economic impacts, but also characterize most of the vessels as historically significant and many of them as grave sites, both civilian and military. Funding for any assessment or recovery operations determined to be necessary is dependent upon the unique circumstances of the wreck. If a wreck still has an identifiable owner, that owner is responsible for the cost of cleanup. Coast Guard officials say that if no responsible party exists, the Oil Spill Liability Trust Fund would likely be accessed. To view the report, 2012 Risk Assessment for Potentially Polluting Wrecks in U.S. Waters, visit http://sanctuaries.noaa.gov/protect/ppw/. As America’s maritime first responder, the Coast Guard protects those on the sea, protects our nation from threats delivered by sea, and protects the sea itself. By executing our marine environmental protection responsibilities, the Coast Guard reduces the risk of harm to the marine environment by developing and enforcing regulations to prevent and respond to maritime oil spills and hazardous substance releases. 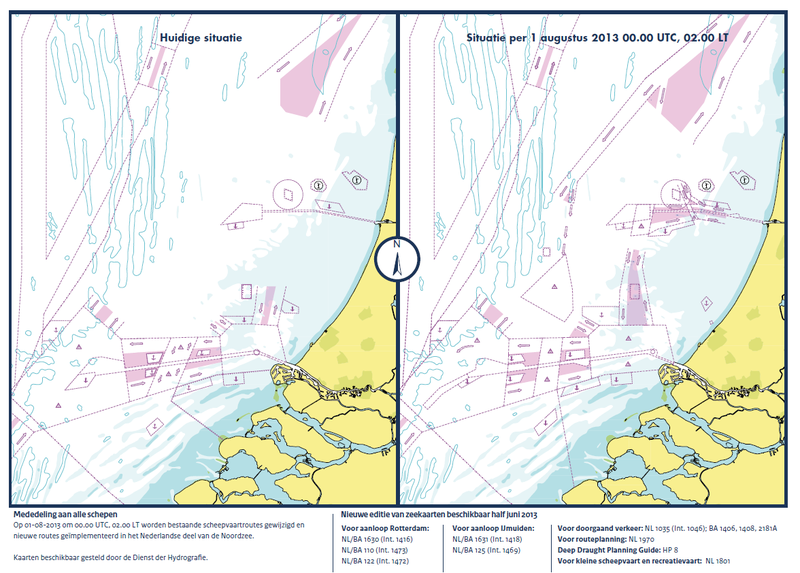 The Netherlands Hydrographic Office is reducing the production of charts in the 1800 series, for light SOLAS vessels, inland shipping and leisure. New charts would normally be published in spring but changes in the vessel traffic on the North Sea and cost-saving measures by the Netherlands Ministry of Defense are at the root of this change. The 1801 will be a special release because of the changes at the Noordzee. Very important to professionals and pleasure crafts. The route network will be updated to these changes. Each of the 2012 editions will remain official until a new edition is published and should be kept up to date through the Notices to Mariners. 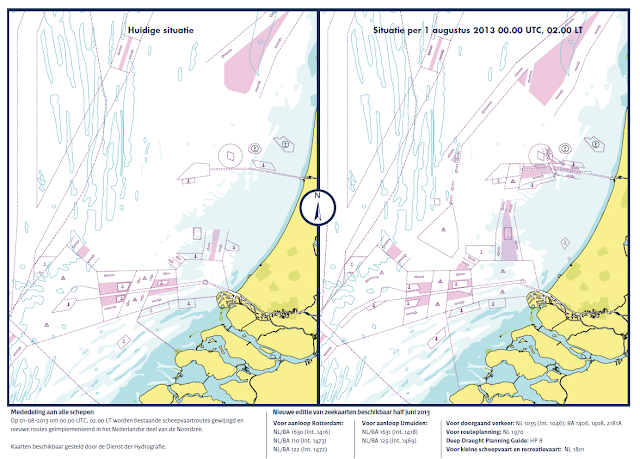 chart 1801 (Netherlands coast) will be published in mid-June 2013, related to changes on the North Sea from 1 August 2013.
the charts 1811 (Wadden Sea West) and 1812 (Wadden Sea East) will be published in the summer of 2013.
all other editions will not be published as new versions in 2013 but will continue to be available as before. Why did penguins stop flying? Researchers from the University of Manitoba have shown that birds can either be very good at flying or swimming, but not both. And they’ve been studying a very awkward seabird to prove it. Animals that can fly really have it good. Flight allows for quick getaways, aerial view hunting, expanded territorial ranges, and the ability to travel vast distances when making seasonal migrations. So, for a species to give up flight, there better be a damned good reason. And indeed, the penguin did exactly such a thing about 70 million years ago, foregoing flight in favor of swimming. Scientists aren’t really sure why penguins made the switch, but they suspect it had something to do with a lack of land-based predators. 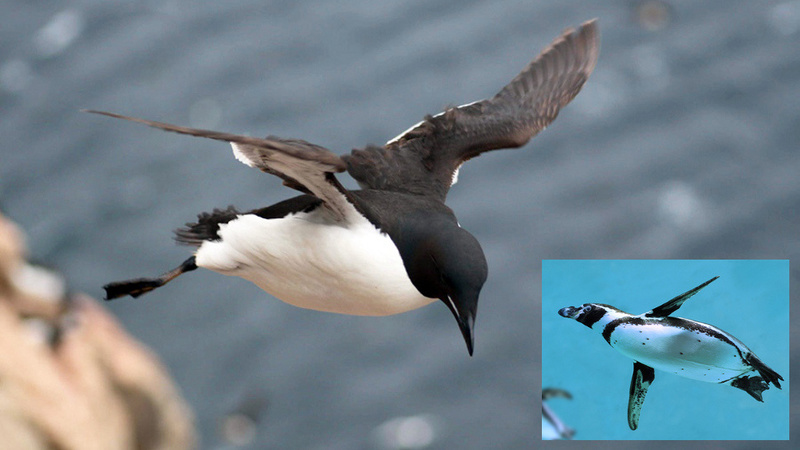 Murres are well adapted to diving but when it comes to flying their wings are some of the most energetically inefficient. But a new theory, the biomechanical hypothesis, suggests that nature cannot provide a seabird with a wing that is proficient at both flying and swimming. For penguins, selectional pressures eventually tipped over in the direction of swimming, resulting in a vestigial wing that could propel the bird not through air, but through water. As a consequence, flight had to be completely abandoned lest the species remain mediocre at both — a condition that nature, with its preference for fitness peaks, will not endure. To reach this conclusion, a research team led by Kyle Elliott studied two birds that are closely related to the penguin, the thick-billed murres (Uria lomvia), which are wing-propelled divers, and pelagic cormorants (Phalacrocorax pelagicus) which are foot-propelled divers. The murres proved to be particularly interesting — it’s a bird that’s reasonably good at swimming, but absolutely dreadful at flying. Evolutionarily speaking, the murres is not quite ready to give up on flight just quite yet — but it’s not too far off, either. Without a doubt, the murres is one of the most awkward flying seabirds to ever be documented by scientists. In order to fly, it must beat its wings like crazy, expending energy at 31 times their resting state. Most animals burn energy at about 25 times their resting rate when going full-tilt. The murres is also really terrible at landing. At the same time, they’re so-so swimmers. Compared to penguins of the same size, the murres has to expend about 30% more energy. The scientists theorize that the dual-purpose feathered wings are causing too much drag for the bird underwater. The penguins' smooth and stubby flippers, which propels them through the water, is highly specialized for the task. The murres, on the other hand, needs a wing that’s good at both, making specialization impossible. This bird is obviously well suited to its environment right now, but like the penguin, selection pressures may eventually tip it towards one of two possible directions. Nature : Why penguins cannot fly, the need to swim efficiently makes seabirds poor fliers. 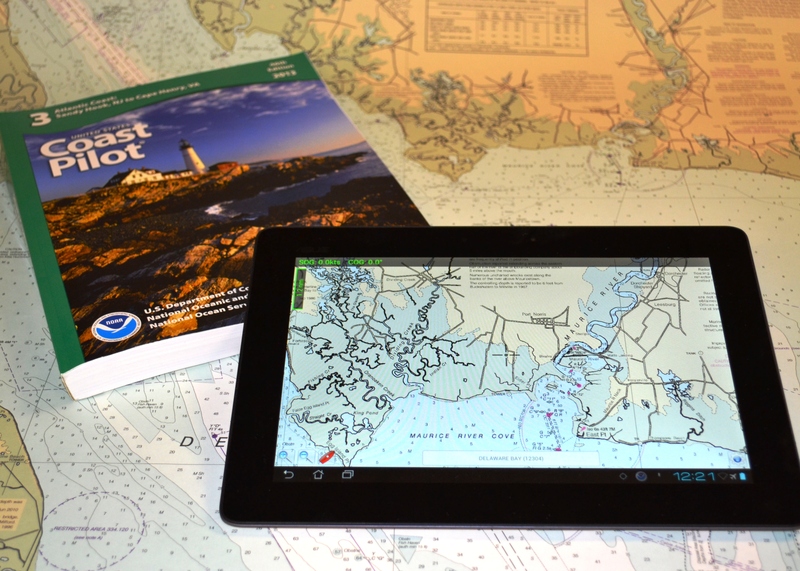 MyNOAACharts, a mobile app beta test for Android tablets, can easily integrate the user’s location, the nautical chart, and all the navigational information from the U.S. Coast Pilot. As recreational boaters gear up for a summer of fun on coastal waters and the Great Lakes, NOAA is testing MyNOAACharts, a new mobile application that allows users to download NOAA nautical charts and editions of the U.S. Coast Pilot. The app, which is only designed for Android tablets for the testing period, was just released. MyNOAAChart, which can be used on land and on the water, lets users find their positions on a NOAA nautical chart. They can zoom in any specific location with a touch of the finger, or zoom out for the big picture to plan their day of sailing. The Coast Pilot has geo-tagged some of the major references and provides links to appropriate federal regulations. Easy and workable access to nautical charts is important for boating safety, says Rear Admiral Gerd Glang, director of NOAA Office of Coast Survey. He recalls a funny, but poignant, reference to charts. “A popular t-shirt has a ‘definition’ of a nautical chart splayed across the front: ‘chärt, n: a nautical map that shows you what you just hit,’” Glang explains. The beta test for MyNOAACharts will end on Labor Day, September 2, 2013. Coast Survey will then evaluate usage and user feedback, which will be pivotal in any decision to move forward. Boaters who don’t have an Android tablet shouldn’t despair. The Office of Coast Survey provides free BookletCharts, which are 8 ½” x 11” PDF versions of NOAA nautical charts that can be downloaded and printed at home. The U.S. Coast Pilot is also available in a free PDF version. The mobile app MyNOAACharts and the BookletCharts do not fulfill chart carriage requirements for regulated commercial vessels under Titles 33 and 46 of the Code of Federal Regulations. Container-laden ships traverse countless supply chains from continent to continent, a method of transportation that accounts for more than 90 percent of the world trade by volume. The world’s top 50 largest ports see millions of Twenty-foot Equivalent Units each year, the name given multi-colored, cargo-carrying containers. Most containers are 20 feet long and eight feet wide, hence the term TEU. Such standardization is necessary so that containers can be efficiently stacked one of top of the other, a tight network visible for each port on this map. A bird’s eye view of these ports and channels shows it’s clear China leads the way in TEUs; in fact, six of the world’s 10 busiest ports are located along the mainland. Since the 1990s, the tons of cargo passing through the Port of Shanghai has quadrupled. But nearly every port on the map exhibits a steady increase of traffic in the last decade, mirroring a trend in global seaborne trade[PDF], which has expanded by 3 percent every year since 1970, reaching 8.4 billion tons in 2010. Various countries are gearing up to meet this demand by building new terminals to accommodate bigger ships than ever before. So too, are the channels these “mega vessels” will cruise through: a $5.25 billion expansion of the Panama Canal, which carries 5 percent of the world trade, will double capacity by 2015, allowing access for larger (and more) ships. East Coast ports are installing larger cranes and dredging channels to fit these ships, which are 2.5 times the capacity of the current largest ships that pass through the canal. May 13th, 2013 will go down as a memorable day in the Tahitian history books. and and was quick to hit the eject button on this one. 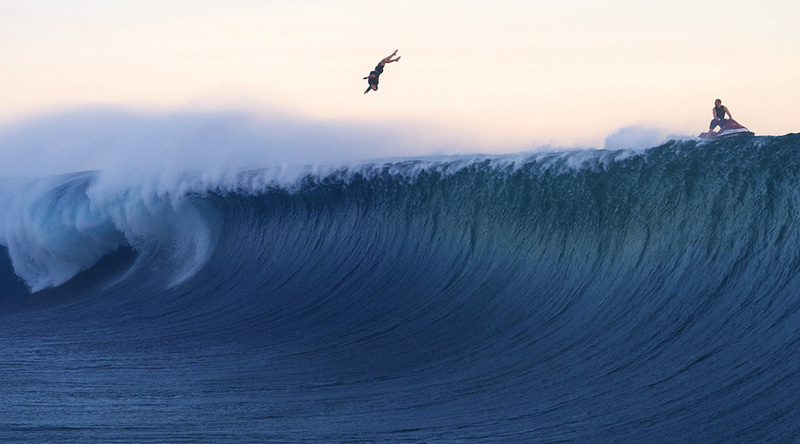 Watch as Tahitian demi-god Raimana Van Bastolaer rode on some of the swell's best and biggest waves, along with professional surfers Maya Gabeira, Carlos Burle and others that were brave enough to take off on what's knows as the heaviest wave in the world. making seafaring safer and revealing extraordinary new landscapes.